The Tremiti Islands are a group of 4 main islands: San Domino, San Niçola, Capraia (or Caprara), Pianosa (that is about 14 miles away front the other islands} and a minor island called Cretaccio. The Tremili Islands can be reached by ferry or by ship from ine following ports: Ortona. Vasto, Rodi Garganico, Peschici, Vieste, Capoiale, Manfredonia and by helicopter from Foggia. Tremiti Islands are 135 Km from Foggia and 87 Km from Manfredonia. 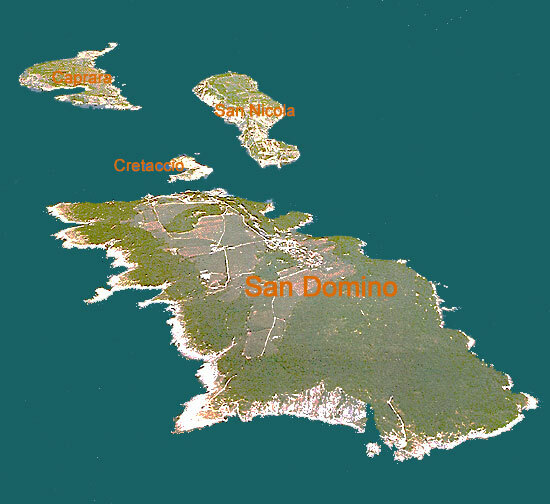 It s and archipelago composed by San Nicola Island, San Domino Island, and Caprara Island.